"Enda mbele moja kwa moja hadi mwisho wa njia,alafu ingia mkono wa kushoto." 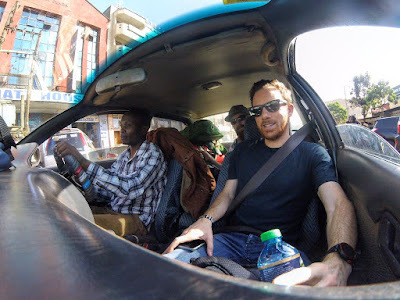 That was Reid giving me directions in Swahili to continue straight forward until the end of the road, then turn left as I drove him to the High Altitude Training Centre in Iten on Wednesday the 20th of January 2016. He had been to Kenya seven times before. That is the reason why he has learned the Swahili language and has also made many friends around. As we approached Iten, he seemed to recognize almost each and every athlete doing their evening run beside the road. At one point, he quickly brought his hands to his mouth to form a megaphone, stuck his head out of the car window and shouted, "Cooray!!" One athlete running beside the road looked at us and waved happily. The athlete was none other than Anuradha Cooray who holds the Sri Lanka national records on road distances from 10km through 21km, 25km, 30km, 35km and 40km up to the marathon. Before going out to break some of these records, he had been training with Reid using Reid's training program and advice. That put's Reid as a great coach, besides being a great runner. The other person in the car was his friend, John Mason, also a marathon runner who had travelled with him from Canada to train in Iten. I learned that John was a dairy farmer besides running when we had to slow down to let some cows cross the road on our way from the airport and the topic about cows sprang up. On the other hand, Reid just runs. "All I do is run, I have no other work besides running," said Reid. Reid aims to represent his country in the marathon at the Rio Olympic Games this summer. There are no trials that will be done to select the marathon team, only the fastest three runners will make the team and Reid is currently the fastest Canadian marathon runner with 2:10:29, the fastest time by a Canadian runner in the last 40 years and the 2nd fastest time ever by a Canadian runner. But, before Rio, Reid's other major race will be the IAAF world half marathon championships in Cardiff. "All my training up to the time for the world half marathon will be in Kenya," said Reid. 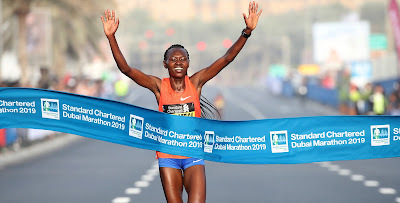 He also says if he finds a convenient 10km road race preferably in England some time close to the world half, then he will consider going for it as part of his tune up to the half marathon. I took the opportunity to ask him about his girlfriend and when they plan to make a family after he had also asked me about my family. "We are getting there," he said. His girlfriend likes running and has a personal best of 17 minutes in 5000m, but due to the fact that she works full time she hasn't found enough time to continue training. After dropping them at Lorna Kiplagat's camp, I went out to briefly meet another friend there in Iten. As I was heading back to Eldoret, the two were already there doing their evening run beside the road and slowing down to say hi to other athletes on they were coming across. I expected that they were going to lie down a bit after such a long flight all the way from Canada.